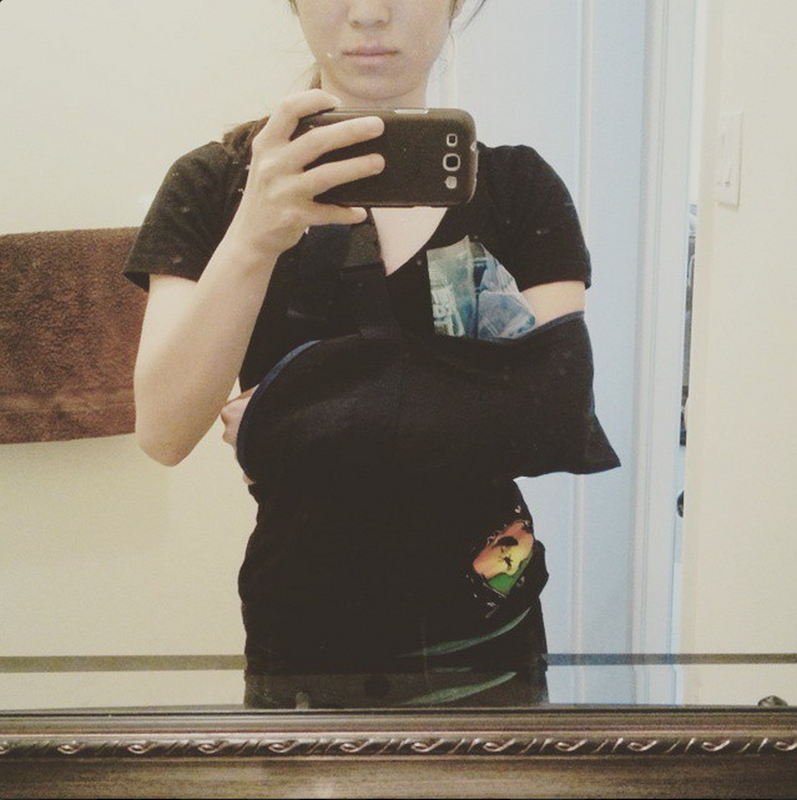 Today, I got the call from my doctor that I’ve been dreading…I apparently damaged the tendons in my elbow when I fell a few weeks ago while I was bouldering. For those of you who have not seen my post about the whole incident, you can click here to learn more about it. But long story short, I was climbing a V3 problem when I slipped and fell, and unintentionally landed on my right arm. Anyway, I will update you all as soon as I learn more about what’s in store for me in the coming months. Wish me a speedy recovery! Tomorrow marks the second IFSC World Cup event of the year for the bouldering category! I’m pretty excited about watching Jan Hojer climb as well. I’m not sure how he did in qualifiers today though. Last week, he didn’t even make it to the semi-finals, which was so surprising because he’s one of the strongest climbers out there. Join me tomorrow on the YouTube live stream page! Watching these great athletes climb is always so incredibly inspiring. About a year ago, my cousins introduced me to bouldering, which as some of you may know is rock climbing without a harness. Before long, I was hooked. It made me feel strong and really good about myself. I think a huge part of why I enjoyed it so much was due to the fact that I was physically primed for climbing at the time that I was introduced to it. I had already been doing P90X3 for about 4 months, so I’ve gotten a lot stronger from lifting weights. If I hadn’t been working out at all prior to my introduction to bouldering, I’m not too sure that I would have liked it as much. I probably would’ve gotten stuck on a lot of the problems because I lacked not only the technique, but also the strength to climb them. The first time I went climbing with my cousins, it was a good experience, but I wasn’t completely amazed by it. The reason for that may have been due to the fact that I didn’t get to climb as much as I wanted. 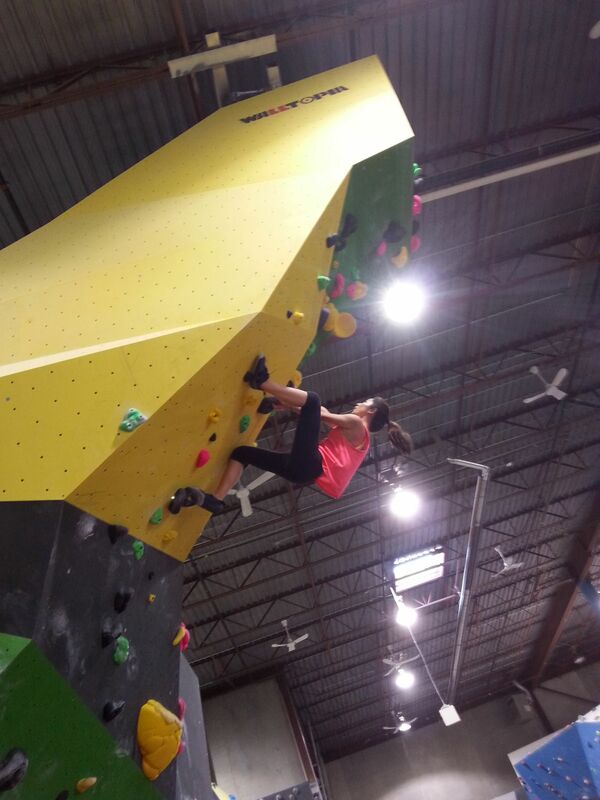 I spent a lot of time just sitting on the mats, watching other people climb, because my hands got sore pretty quickly. Seeing as it was my first time, I also wasn’t comfortable doing a lot of the techniques used in climbing like flagging (standing with one foot on a hold, while the other foot is pushed out to the side or resting on the wall). I was definitely a bit out of my element. I was also struggling with my fear of heights, so whenever a route got too scary for me, I would just jump down from the wall without even trying the next move in the sequence. The next few times that I went climbing was when I really fell in love with the sport. I slowly got more comfortable with various climbing techniques, but I was still wary of small holds (crimps), so I would only pick out routes that had nice big secure handholds. Then after about 2 months of climbing, I took a break from it for various reasons that I’m not going to get into, simply because it would make this blog post way too long. But the main reason as to why I took such a long break (about 4 months) from climbing was because I went back to the Philippines again for the holidays. I was there from December 2014 to early March 2015. During that trip, I did make a point to go climbing at a gym in Manila, but the whole setup at the place that we went to was not great at all. They were a small top-rope gym with no air-conditioning, and the holds on the wall were slippery and old. I remember almost having a heart attack after grabbing one of the holds, and discovering that it wasn’t screwed in properly 😯 Luckily, I was on a harness so I didn’t panic too much when the handhold moved as I grabbed it. 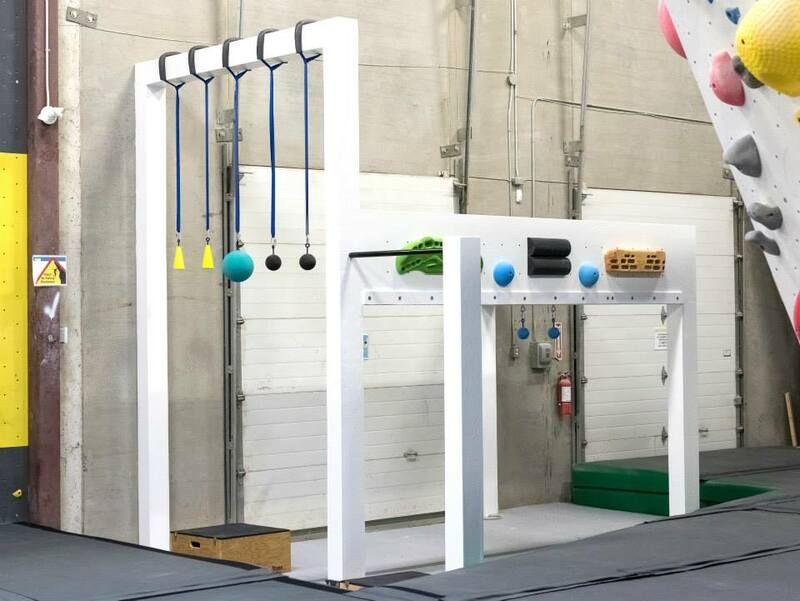 Anyway, when I got back to Canada in March, I immediately signed up for a monthly membership at the bouldering gym near my house. Ever since then, I’ve been going twice a week with my cousins, and I’ve improved a lot since I started. I have finally conquered my fear of crimps, having completed quite a few problems that rely on small holds. I am happy to say that I am now climbing V3 problems (although there are a couple V2 routes that I’m still struggling with 😕 ).